Before the big “Grand Opening” of you next multisite campus you need to host a series of “Soft Launch Sundays”. 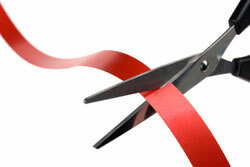 These are services designed to get all your teams and systems ready before you cut the ribbon. I’ve been involved in a bunch of these over the last 10+ years of launching multisite campuses and here is some essential advice for making your next soft launch Sundays great! Under Promise … Over Deliver // Every time you talk about these services you need to stress with your people that these are “rehearsal” services … that your team will stop the service to fix whatever needs to be fixed. Stress that you are doing this to make everything perfect for their friends at the Grand Opening. But you need to work to ensure that the services are a close to perfect as possible … do some extra band rehearsals … practice your hosting spots … work hard to make it great. Lowering your people’s expectations and then over-delivering on the experience will boost their confidence in inviting friends to the Grand Opening. It’s a Full Service Experiences // Host every environment and pull out every stop. This is a full service experience … don’t tip-toe into these services … make sure everything that you plan on doing when you launch is a part of these services. Do More // How many weekends of “practice” services do you think you need? Do twice as many! There is no downside to “getting it right” before launch Sunday. You don’t want your people wondering if there are going to be any problems on that day. I find that 3-4 weeks of soft launch services is a sweet spot for most churches. “Who are you inviting to Grand Opening?” // This question needs to be on the tip of the tongue of every leader as they talk with people. Talk about who you are inviting from stage … ask people in their team huddles to talk about who they are inviting … take time to pray for the first time guests that will be coming to the Grand Opening. You can’t over message this during this timeframe. Grand Opening only happens once … leverage it as a motivation for your people to invite friends! Structured Feedback // Make sure that you have a mechanism for getting feedback from your leaders after these services. Conference calls work great … or even an emailed out survey can garner feedback from people. The goal of these services is to learn from your people what you can improve for launch Sunday. New Every Weekend // Even though you’re going to work hard to make the services great and ensure that all the equipment is onsite for the first weekend … it’s kinda nice when you can roll out new items every soft launch Sunday for people to see. Adding signage every weekend is great way to show you’re making progress towards launch! Cherish the Family Time // These services will have less people than your Grand Opening Sunday and the services after that. Don’t get bummed out by the smaller crowds … but embrace the chance to love on your core community. Take extra time to talk to people who you might not normally get a chance to connect with at a service. Serve a volunteer lunch one of the weekends (or every weekend!) … sit back and soak in the goodness of your community. RECRUIT! // It will never be as easy as this time to recruit volunteers to join your teams. There will be a significant number of people who will be interested signing up to serve on a team. Don’t look down on this “late adopters” … they just needed to know it was actually going to happen before they could sign up. Just tell ’em “This is a perfect time to join a team!” and get them plugged in. Invite Cards // Make sure have lots of invite cards on hand to give to your people. I like having them bundled up in packs of 10 … great implied message on how many people you want your folks to invite! Don’t Sweat It // Relax … you always have next weekend to sort out the issues that came up this weekend! How have your soft launch services gone? We’d love to hear your story in the comments! What a powerful statement and thought. As church leaders, it’s easy to get caught up in the numbers. But what an opportunity we have to connect and build close knit community.